On April 30 of 2010, the trailer for the first Humble Bundle saw the light of day on Wolfire Games’ YouTube channel and 4 days later, the bundle went live – set to run for one week. It was original, fascinating and since it was pay-what-you-want, it was an extremely good deal that sold like a Call of Duty game – except, you got much more bang for your buck with this. Quite a few things made this bundle attractive, including the complete absence of DRM! That’s not all though. The Linux gaming community is to this day, having a hard time outside resorting to running Windows games through wine (a far from perfect solution), since a lot of developers simply release their product for PC/Mac and call it a day. So it was a pleasant surprise, when the bundle was announced to work with both Microsoft Windows, Mac OS X and Linux-based systems. No OS got left behind! Wolfire Games had previously mentioned on their blog, how they believed in the importance of supporting even the less common platforms, so going multi-platform with bundle was a no-brainer. Even though I’m a Windows user, I still appreciate what they’re doing for those who aren’t. Speaking of doing something for other people, this bundle supported two charitable causes: Child’s Play and the Electronic Frontier Foundation. Some people may not like charity, but the fact that they supported it at all helped many appreciate it more. At the end of the 7th day, the total amount of money raised had passed $1.000.000, making it an undeniable success and according to Wikipedia, about 31% of the profits went to charity. Now you might be wondering how they decided on that percentage, with a pay-what-you-want model. The answer is simple: A buyer got to choose how to divide the amount he or she spent on the bundle, between developers, charity and the Humble Bundle organizers! Quite nice. That way not only could people choose how much they wanted to pay for the games, they also got to pick who got their hard-earned money; imagine this method implemented for retail games. 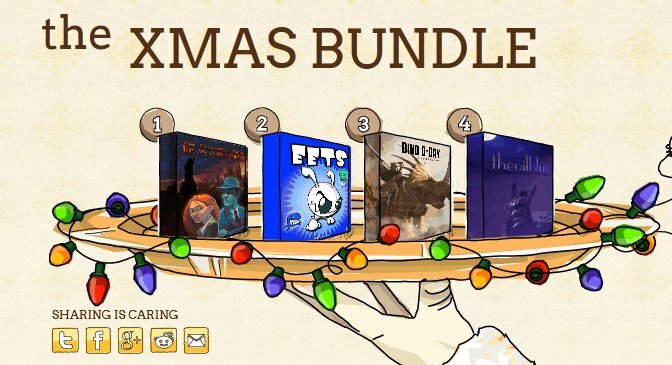 Building on the success of their first bundle, a second Humble Bundle was launched on December 14 that same year; same benefits as the first one and even more sales! If the first one hadn’t made it clear, the second certainly showed how much people loved the whole thing, so on April 12 2011, the project continued with the introduction of a third bundle. This time it featured five games from a single developer called Frozenbyte and like the first two, also a success, though not quite as big. Successful movies get sequel after sequel, and the same was true for Humble Bundle. They were not done after just three, as a fourth saw the light of day on July 26 2011… and a fifth on September 28 2011. Every single one of them included high quality indie games with no exceptions; unlike bad movie sequels. Still not done, on Hallow’s Eve (october 31) 2011 they called out to indie fans yet again, with the “Humble Voxatron Debut” – that’s six bundles in a row for those keeping score at home. This time things were mixed up a bit, as the bundle was initially released with just a single game: Voxatron – a title still in alpha stage of development! While this seemed strange at first, people realized that supporting a game still in the early stages of development – though playable – was the same as funding an idea for any other product and plenty purchases were made; even more though, when six more games were added. You would think that would spell the end of the Humble Bundles, right? Not even close. The 7th one launched less than a month later, on November 22, called the Humble Introversion Bundle; plus another is “coming soon” according to the website. But enough about this particular bundle for now. IndieRoyale launched their first bundle earlier this year, and has since then gone through several additional, all with the same “configuration”: When buying, you do not get to set the price; instead you get to either pay the minimum or above it. Should you choose to pay above the minimum, you lower the price for everyone else in doing so. Wasn’t a bad idea, and the numbers certainly showed quite a successful bunch of bundles! While I enjoyed their previous bundles a great deal, I have to admit that the most recent seems a step down in quality over previous bundles. I know that there are only so many indie games out there, and I’ll admit that the games do all look quite good; so maybe it’s simply a matter of personal taste in games? Who knows. Something I do know, however, is that indie game bundles are showing up all over the place now. Almost to the point where some people are considering not paying full price for indie titles again, since at this point it seems likely they’ll appear in a dirt cheap bundle sooner or later (sometimes less than 2 months after release). Now please don’t get me wrong: I am in no way saying developers are making a mistake here, I am simply questioning the state of bundles right now. Is too much of a good thing always too much, or is simply even better? I’m not so sure anymore. Figures. Just as I was ready to post this one, I saw on my Twitter that Humble Bundle put up another one. Only one thing has really changed from previous bundles: They’re supporting America’s Red Cross instead of the Electronic Frontier Foundation this time. Why the change? They decided not to reveal all the details, but according to their Twitter Electronic Frontier Foundation will be back in the future.